Flachcards for our APUSH textbook. Commander of U.S. military forces in Pacific theater of World War II. Declared "I shall return!" when he was forced to flee The Philippines when the Japanese invaded and defeated the U.S. Army in 1942. Led the "Island hopping" campaign that dislodged Japanese forces from Pacific Islands in SE Pacific, culminating in return to The Philippines and U.S. victory over Japan. Accepted Japanese surrender in August 1945. Commander of Allied forces in World War II in Europe. Leader of the D-Day Invasion of France in June 1944 that established a "second front" in the war against Nazi Germany. The "first front" was the war between Nazi Germany and Soviet Union in the Eastern Front. D-Day was the largest amphibious land invasion in history of warfare. Successfully coordinated all generals from US, UK, France in the conquest of Nazi Germany until surrender in April 1945. Leader of the Sleeping Car Porters Union and prominent labor leader of African Americans from 1940-1965. When African American workers were not allowed to work in defense plant factories during WWII, Randolph threatened to organize a protest march of tens of thousands of workers in Washington, DC. FDR relented and issued the Fair Employment Act banning racial discrimination at defense plants. Participated in the March on Washington twenty years later in 1963. Site of Japanese surprise attack against US Navy that started active US involvement in WWII. On December 7, 1941, hundreds of Japanese fighters, bombers, and submarines attacked the US Naval base in Hawaii, killing over 3,000 sailors, soldiers, and civilians, in the attempt to deal a "knockout blow" against US Pacific fleet, and clear the way for the Japanese conquest of Asia. The U.S. was taken totally by surprise and suffered heavy casualties there and in the Philippines. FDR's New Deal policy of establishing friendlier relations with Latin American countries, reversing previous policy of intervening in their affairs when it furthered US national and economic interests. Repealed Cuban Platt Amendment and withdrew US forces from Haiti. Preserved Latin American neutrality in WWII. Series of Congressional Acts of the 1930's designed to prevent U.S. involvement in brewing European conflicts. They were based on WWI events of selling and shipping war material to European belligerents that eventually led to submarine warfare, US civilian and military casualties, and demands for war. Ended with Lend-Lease Act of 1941. Congressional law passed in March 1941 allowing FDR to sell weapons to UK to help defend nations vital to US security. First extended to UK, then to USSR after German invasion. War supplies shipped without payment to be "returned" after the war when no longer needed--"lending and leasing". 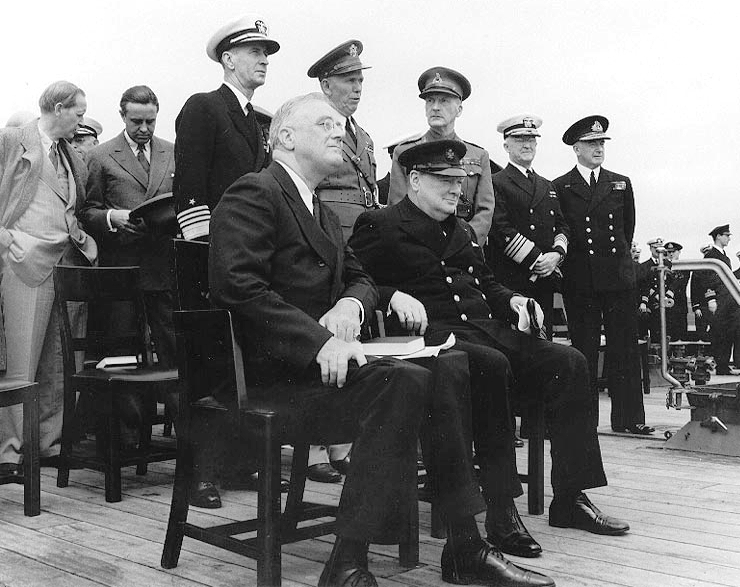 Atlantic Charter was signed 14 August 1941, by FDR and Churchill. Expressed idealistic objectives for a postwar world. The charter included the following points: the renunciation of territorial aggrandizement; the right of people to choose their own form of government; promotion of economic advancement, improved labor standards, and social security; freedom from fear and want; freedom of the seas; and disarmament of aggressor nations pending the establishment of a permanent system of peace. Declared by FDR in 1941: "In the future days, which we seek to make secure, we look forward to a world founded upon four essential human freedoms. The third is freedom from want-which, translated into world terms, means economic understandings which will secure to every nation a healthy peacetime life for its inhabitants-everywhere in the world." fourth is freedom from fear-which, translated into world terms, means a world-wide reduction of armaments to such a point and in such a thorough fashion that no nation will be in a position to commit an act of physical aggression against any neighbor-anywhere in the world. The forced relocation of Japanese nationals and Japanese Americans in the United States to camps during World War II. On February 19, 1942, the U.S. Army, acting under an order signed by President Franklin D. Roosevelt (and ratified by Congress a month later), ordered nearly 120, 000 Japanese nationals and Japanese Americans into internment camps located in the central regions of the United States. 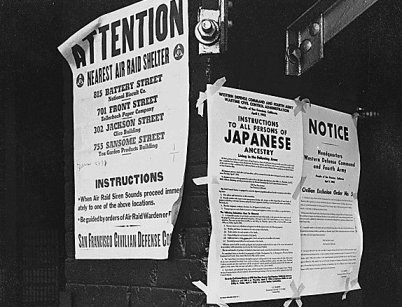 Korematsu v. United States, was a landmark 1944 SCOTUS case concerning the constitutionality of Executive Order 9066, which ordered Japanese Americans into internment camps during World War II. In a 6-3 decision, the Court sided with the government, ruling that the exclusion order was constitutional. 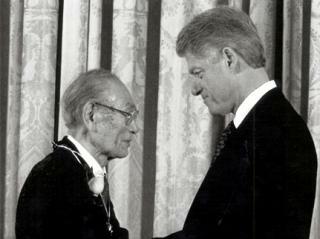 holding that the need to protect against espionage outweighed Fred Korematsu's individual rights, and the rights of Americans of Japanese descent. The purpose of the board was to regulate the production and allocation of materials and fuel during World War II in the United States. The WPB converted and expanded peacetime industries to meet war needs, allocated scarce materials vital to war production, established priorities in the distribution of materials and services, and prohibited nonessential production. 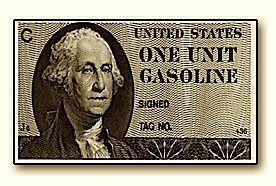 It rationed such things as gasoline, heating oil, metals, rubber, paper and plastics. The forcible transfer, by the Japanese Army, of 75,000 American and Filipino prisoners of war in the Philippines in 1942 which resulted in the deaths of thousands of prisoners. The 60 mile march was characterized by wide-ranging physical abuse and murder, and resulted in very high fatalities inflicted upon prisoners and civilians alike by the Japanese Army, and was later judged by an Allied military commission to be a Japanese war crime. The Battle of Midway is widely regarded as the most important naval battle of the Pacific Campaign of World War II. Between 4 and 7 June 1942, six months after Japan's attack on Pearl Harbor, the United States Navy decisively defeated a Japanese attack against Midway Atoll, inflicting irreparable damage on the Japanese fleet. Historians regard it as a stunning defeat of Japanese navy and a turning point of the Pacific war. Campaign by African Americans for victory against racism abroad (Nazi Holocaust) and racism at home (Jim Crow laws). It held the government responsible for acting consistently toward all human beings. The Fair Employment Practices Commission requiring that companies with government contracts not to discriminate on the basis of race or religion. It was intended to help African Americans and other minorities obtain jobs in the homefront industry. This was due in large part to the urging of A. Philip Randolph, who was the founding president of the Brotherhood of Sleeping Car Porters. CORE stands for the Congress of Racial Equality. It was founded in Chicago in 1942 as an interracial organization working to improve civil rights. CORE pioneered the use of nonviolent direct action, staging sit-ins and integrated freedom rides to protest segregation throughout the 1940s. CORE operates under the banner of “TRUTH! LOGIC! & COURAGE!”. The G.I. Bill provided college or vocational education for returning World War II veterans as well as one year of unemployment compensation. It also provided many different types of loans for returning veterans to buy homes and start businesses. Since the original act, the term has come to include other veteran benefit programs created to assist veterans of subsequent wars as well as peacetime service. The period of persecution and extermination of European Jews by Nazi Germany. Hitler established death camps to secretly implement what he called "the final solution of the Jewish question." By the end of the war 6 million Jews had been systematically murdered. The Allies refused rescue attempts and American Jews were warned against attempting them. While the European churches were silent, some clergy and individual non-Jews saved many. The greatest amphibious attack in history. Nearly 175,000 American, Canadian, and British troops landed in Normandy, France on D-Day, 6 June 1944, supported by 6,000 aircraft and 6,000 naval vessels. The object of the attack was to win a beachhead in France in order to open a second front against Hitler's armies and to use the beachhead as a springboard for the liberation of France and Belgium, and the eventual conquest of Nazi Germany. The last German offensive on the Western Front in December, 1944 was an unsuccessful attempt to prevent the Allied invasion of Germany. The "bulge" refers to the wedge that the Germans drove into the Allied lines. Allied forces were caught unprepared by a German counterattack. The German drive was initially successful but was halted by Allied resistance and reinforcements. 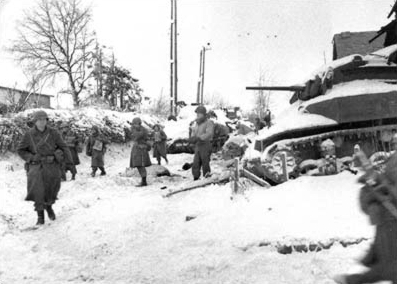 The Germans withdrew in January 1945, but both sides suffered heavy losses, especially the U.S. The Conference of Allied leaders at Yalta, Russia in Spring, 1945 to plan Germany's defeat in World War II. 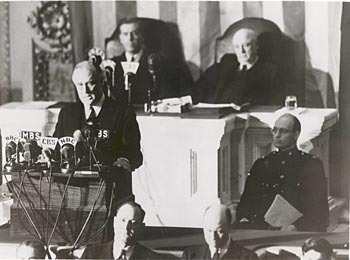 FDR, Churchill, and Stalin discussed the postwar occupation of Germany, postwar assistance to the German people, German disarmament, war-crimes trials, the fate of the defeated or liberated states of eastern Europe, voting in the future United Nations Security Council, and German reparations. Stalin agreed to enter the war against Japan after the German surrender. Begun as the wartime alliance of US, UK, and USSR, it was the post-WWII organization formed to settle international disputes through peaceful negotiations if possible, or international military force, if necessary. Included the General Assembly of all nations and the smaller Security Council, including five permanent members and ten elected members states - which decides on the use of military force and sanctions. The epic, secret, wartime effort to design and build the world's first nuclear weapon. Commanding the efforts of the world's greatest physicists and mathematicians during World War II, the $20 billion project resulted in the production of the first atomic bombs. Driven by the fear that Hitler's Germany would invent them first, the monumental project took less than four years, and encompassed construction of vast facilities in Oak Ridge, Tennessee, and Hanford, Washington. 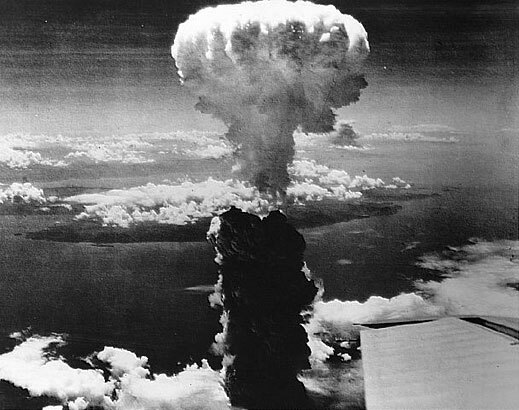 During World War II, Hiroshima was the target of the first atomic bomb ever dropped on a populated area; it was dropped by the United States on Aug. 6, 1945. Almost 130,000 people were killed, injured, or missing, and 90% of the city was leveled. The political atmosphere in the U.S. in the 1930s. The failure of Wilson's internationalism, liberal opposition to war as an instrument of policy, and the suffering of the Great Depression were among the reasons for Americans' reluctance to concern themselves with the growth of fascism in Europe. 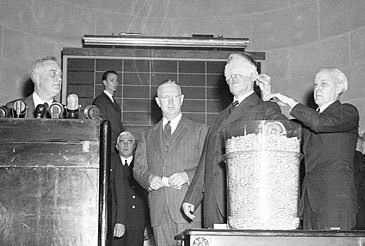 The Johnson Act (1934) and the Neutrality acts (1935) effectively prevented economic or military aid to any country involved in the European disputes that were to escalate into World War II. The Special Committee on Investigation of the Munitions Industry was a committee of the United States Senate which studied the causes of United States' involvement in World War I. 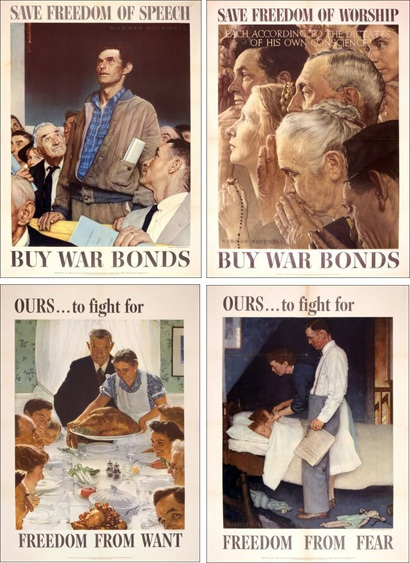 It was a significant factor in heightening public and political support for neutrality in the early stages of World War II, accusing arms manufacturers of being â€œmerchants of deathâ€ by promoting U.S. involvement in WWI for their own financial gain. It was the foremost non-interventionist pressure group against the American entry into World War II. Peaking at 800,000 members, many from the Midwest, it was likely the largest anti-war organization in American history. Started in 1940 and led by Charles Lindbergh, it became defunct after the attack upon Pearl Harbor in December 1941. A policy requested by FDR in 1939, as World War II was spreading throughout Europe. It replaced the Neutrality Acts of 1936. The revision allowed the sale of materiel to belligerents, as long as the recipients arranged for the transport using their own ships and paid immediately in cash, assuming all risk in transportation. 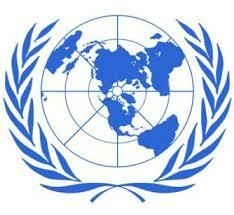 The purpose was to hold neutrality between the United States and European countries while still giving aid to Britain. (German: "lightning war") Military tactic used by Germany in World War II, designed to create psychological shock and chaos through the use of surprise, speed, and superiority in firepower. The Germans used it in the successful invasions of Poland, Belgium, the Netherlands, and France in 1940. The German blitzkrieg coordinated land and air attacks - using tanks, dive-bombers, and motorized artillery - to paralyze the enemy principally by disabling its communications and coordination capacities. Announced by FDR in 1940 as a step toward involvement in WWII, he proposed that the US do "everything short of war" to help UK and France in face of Nazi German aggression, especially supplying them with American weapons to defend themselves. Signed in Moscow August 1939, it was a non-aggression pact under which the USSR and Nazi Germany pledged to remain neutral if either nation were attacked by a third party. It remained in effect until 22 June 1941, when Germany invaded the Soviet Union. The Pact shocked the world because Germany and Russia were mortal enemies. It enabled Hitler to attack Western Europe without fear or fighting on both fronts. It bought Stalin time to prepare for an expected German invasion. Expression used by Imperial japan to justify their aggressive expansion into Asian mainland and conquer countries under European colonial rule--China, Philippines, Hong Kong, Singapore, Indochina, Dutch East Indies. Really meant, "Asia for the Japanese." FDR's way of telling the American people that he was shifting his focus from addressing the domestic problems of unemployment and poverty to national goals of defeating Nazi Germany and Imperial Japan. After heated debate, passed in September 1940, requiring all men from 21-35 to register. Those who were deemed qualified for service were then required to report for duty. Local draft boards classified individuals into different categories. Some were 1-A, ("available for military service") others were classified as 4-F which were rejected as "physically, mentally or morally unfit for service." 16 million Americans served during WWII. Some were volunteers, but the vast majority were drafted. Ever since the USSR had entered the war, Stalin demanded that the Allies open-up a second front in Europe. Churchill and Roosevelt argued that any attempt to land troops in Western Europe would result in heavy casualties. Stalin feared that without a second front, Germany would defeat the USSR. Stalin believed that the US and UK capitalist nations were willing to allow the communist USSR and Nazi Germany to be â€œbleed each other dryâ€ before they would attack Germany. 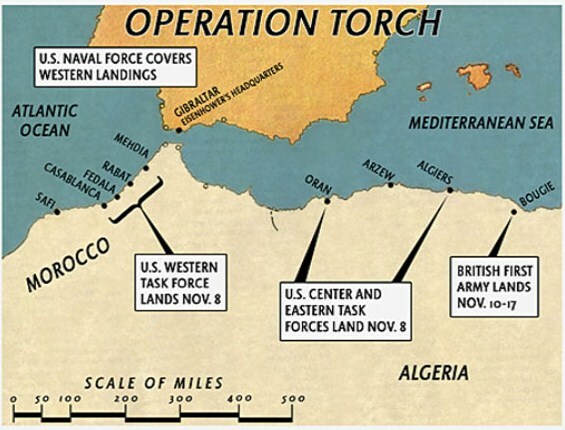 The Allies attacked German and Italian forces in North Africa in 1942, rather than risk an invasion of Western Europe. The UK stopped the German advance on Suez; the US stopped German advance on Tunis. The Allies forced an Axis retreat back to Italy in 1943. The surrender of a military force or nation without being able to set any limits on the subsequent actions of the victorious power. Following the Casablanca Conference in January 1943, the Allies announced an unconditional surrender policy with respect to the Axis powers, that is, the Allies would fight on until such time as the Axis powers surrendered unconditionally. In fact, Italy was allowed to surrender in 1943 with some conditions, but German capitulated unconditionally in May 1945, and Japan surrendered unconditionally (saving the person and institution of the Emperor) in September 1945. The Italian Campaign operations 1943 to the end of the war in Europe. It is estimated that between September 1943 and April 1945 some 60,000 Allied and 50,000 German soldiers died in Italy. Overall Allied casualties during the campaign totaled about 320,000 and the corresponding Axis figure (excluding those involved in the final surrender) was about 336,650. No campaign in Western Europe cost more than the Italian campaign in terms of lives lost and wounds suffered by infantry forces. Rosie the Riveter is a cultural icon of the United States, representing the American women who worked in factories during World War II, many of whom worked in the manufacturing plants that produced munitions and war supplies. These women sometimes took entirely new jobs replacing the male workers who were in the military. Rosie the Riveter is commonly used as symbol of feminism and women's economic power. During World War II fewer manufactured goods were available because of military needs. A system of rationing and price controls were established to provide resources needed for the war and to avoid the kinds of economic problems that had resulted during World War I, such as high inflation. Government programs for rationing and price controls were administered by the Office of Price Administration (OPA) whose activities were especially important at the local level and affected virtually every household in the United States. Mexican Americans wore "zoot suits" inspired by Harlem hipsters. Many were illegal immigrants, working in US Defense plants in LA. Their apparent prosperity and flashy freedom angered US servicemen, who attacked them in a riot in 1943. MacArthur's army campaign of amphibious landings on Japanese-occupied Pacific islands, approaching closer to the Philippines and air bases from which US planes could reach Japan for bombing. Japanese soldiers tenaciously defended these islands, resulting in high level casualties for US Marines and army. Fought in the Pacific waters off The Philippines, it is considered the largest naval battle in history, between the US and Japanese navies. The Imperial Japanese Navy threw everything it had into the battle, but failed to stop the Allied assault on Japan. Okinawa is 500 miles from Japan. The US invasion was the prelude to the anticipated invasion of the Japanese home islands. The fighting here, in the spring of 1945, resulted in the highest casualties for the Japanese (100,000) and the Americans (50,000) of any fighting in the war. These numbers hastened the use of atomic bombs a few months later. Literally, "divine wind", these Japanese pilots became "human bombs" as they hurled their planes, loaded with explosives, directly into the hulls of US ships. They were flying to their certain death. These were desperate measures to defend Japan from the dreaded Allied invasion they felt certain to come.